The Case for the Resurrection of Jesus by Gary Habermas and Michael Licona is a simple and powerful treatment of the most powerful evidences for the resurrection of Jesus Christ. The basic strategy employed by the authors is what they refer to as the “minimal facts” approach. 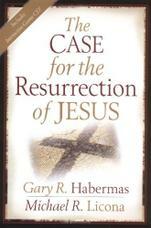 The authors understand that there are a wide variety of opinions held regarding the facts surrounding the Gospels and the resurrection. Using the minimal facts approach, the Habermas and Licona focus on fours facts that are almost universally attested to by all scholars, whether conservative or liberal, Christian or atheist. The “common ground” can then be used to show that a powerful case can be made that the best conclusion is that God raised Jesus from the dead.